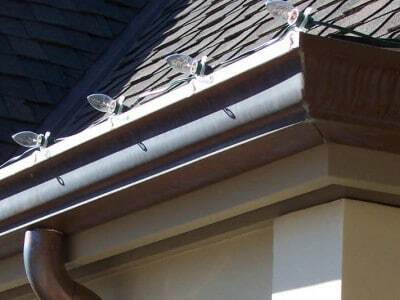 The gutter system you choose for your home has a significant impact on its value and appearance. The material you choose will determine how often you need to clean out the gutters, how much maintenance they require, and how long they will last before needing replaced. 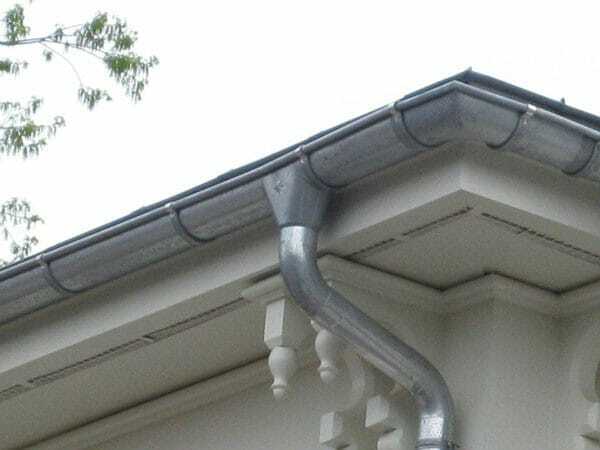 Most homes are fitted with standard aluminum gutters because they’re cheap, easy to install and get the job done. But many homeowners are discovering that the gutter system can be much more than just functional. 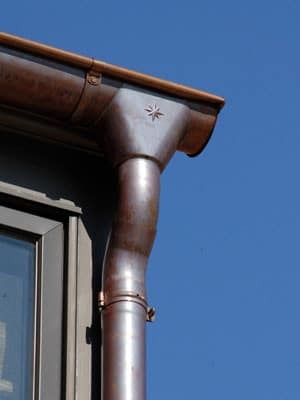 Copper gutters are an excellent choice for many reasons. 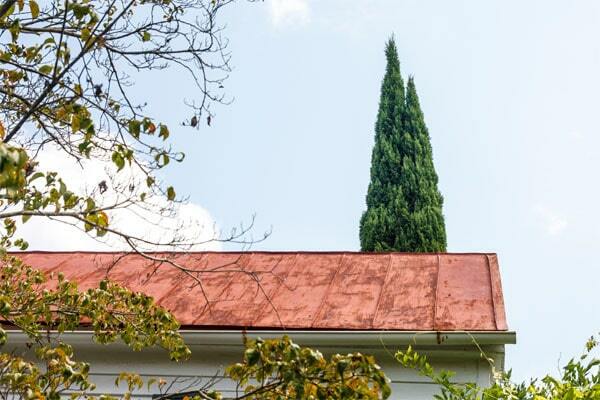 Copper is not the everyday choice for gutters, downspouts, or flashing. Your home could be the only one in the neighborhood with a copper gutter system. It adds sophistication, elegance, and value to your home, as well as increasing your curb appeal. In addition, copper offers two stylistic choices – based on the look you are trying to achieve. 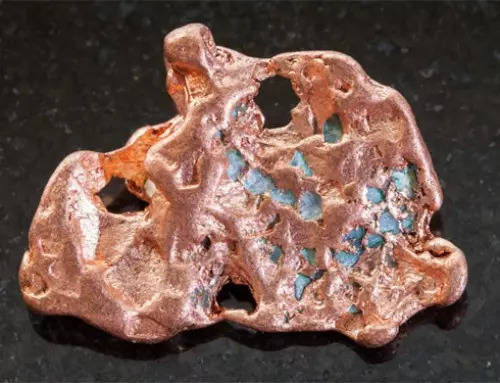 If copper is allowed to oxidize, it will gradually form a coating, turning dark gray and—eventually—a lovely green color (patina). This can give the home a stately appeal and is the preferred choice among homeowners. The process takes a while—up to six years—to complete. If you desire the natural look of copper, you need to protect it with a sealant to prevent oxidation. 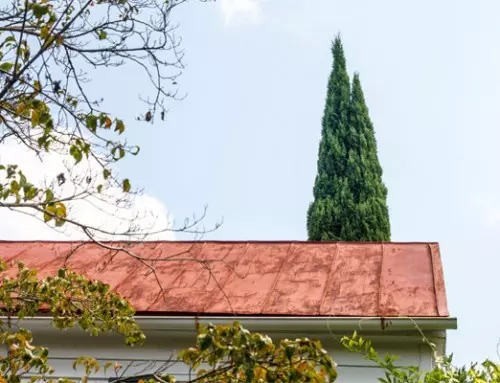 The use of copper as a roofing material can be traced back to 27BC in Rome where it was used on the Pantheon. Copper does not rust and is a long-lasting metal. In fact, a copper gutter system will easily last for the life of your home and will be the last gutter system you’ll ever need. Most other materials rust away in a matter of years. 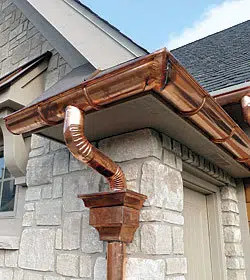 Copper is extremely resistant to corrosion in a variety of environments and can withstand extreme temperature variations – unlike gutters made from other materials. In addition to being highly resistant to corrosion, copper is also an algaecide and fungicide. This prevents moss and other growth from forming blockages in the system that must be cleaned regularly. In addition to being visually pleasing, the patina coating acts as a protectant. 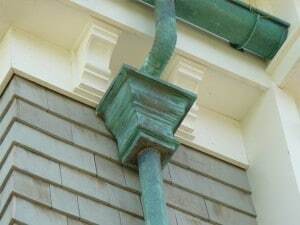 Unlike other gutter materials, copper is not susceptible to underside corrosion. Because of its sturdy construction and built-in protection system, it is easily the most trouble-free material to use for roofing, cladding, flashing, gutters, and down pipes. Copper has a low thermal co-efficient of expansion and can be fitted without the need for expansion joints on continuous straight runs. Slight movements due to thermal expansion do not cause issues like buckling or cracking that can happen with aluminum gutters. Obviously, this increases the lifespan of your gutters and reduces the maintenance they will require. Fortunately, this also makes it a very cost-effective choice. Copper is naturally produced and is one of the few metals that is fully sustainable. You can use it without worrying that it is damaging the environment and depleting precious resources. To date, only 12 percent of known copper reserves have been mined. It can be repeatedly recycled whereas other materials break down and weaken over time. Compared to other metals, its recycling value is much, much higher. It has nearly twice the recycled value of aluminum and almost four times the recycled value of stainless steel. 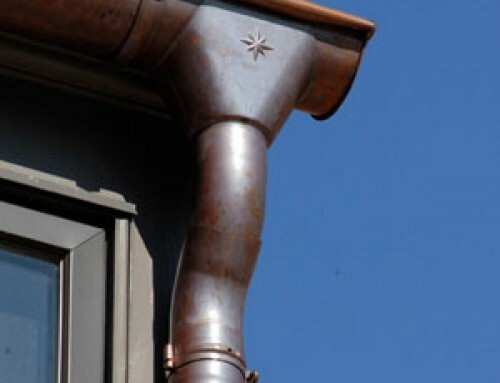 New copper gutters are made from copper that is 70% to 100% recycled. It is eco-friendly and safe to use in almost any climate. As a homeowner, you are faced with many decisions that will add your personal touch to the property. Installing a new gutter system may seem like a purely cosmetic decision at first, but you will discover that choosing a quality material like copper will increase your property value and save you a considerable sum of money in the long run. So, whether you’re building a new home or renovating your current home, consider all the benefits of choosing copper. You may discover that it’s not only the best choice, but the only choice! Kobett Metals has one of the largest in-stock inventories of copper gutters in the USA, and can deliver to your exact specification – often within one to two business days. Contact Kobett for a price quote or estimate. I like how you say that copper gutters are easy to recycle and are usually made out of 70 to 100 percent recycled material. My home needs new gutters because the old ones were bulging off of the house. I’ll have to find someone to install some and look into copper ones.